With March in its final stretch, and April coming right around the corner, there is but one thing plaguing our minds… Who is going to play a joke on me?! For your sake, we of course hope that no one does, but we know that even if you are the victim of some harsh prank, you’ll look back on it someday and laugh. If you don’t believe us, check out our top 10 list of all-time funniest April Fool’s Day hoaxes, but don’t try these at home! 10. Smell-O-Vision: In 1965, BBC claimed that it was conducting a trial of a new technology that would allow the transmission of odor over the airwaves. Many people called BBC to report what they smelled. 9. 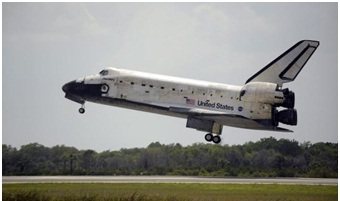 Rough Landing: In 1993, a Radio DJ told his listeners that the space shuttle Discovery had been diverted from Edwards Air Force Base, and that it would be landing at Montgomery Field, a small airport in San Diego. Thousands of people went to the airport to watch the landing, which caused traffic jams throughout the area. The best part was that there wasn’t even a shuttle in orbit at that time. 8. Google Copernicus: In 2004, Google posted fake job openings at their research center on the moon, called the Google Copernicus Hosting Environment and Experiment in Search Engineering (G.C.H.E.E.S.E). To see this job posting, just search for “Google Copernicus”. 7. Trebek is Sajak and Sajak is Trebek: in 1997, Alex Trebek of Jeopardy! 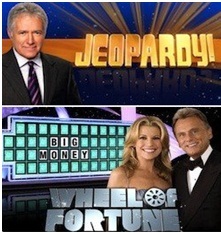 and Pat Sajak of Wheel of Fortune switched hosting roles. One of the puzzles during the episode was in the category “Really Long Title”, and the answer was Supercalifragilisticexpialidocious! 6. Google or Topeka? 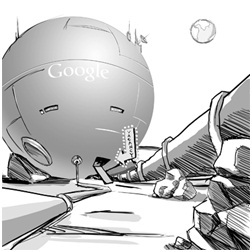 : In 2010, Topeka, Kansas changed its name temporarily to Google. Then, on April Fool’s Day that year, Google announced that it would be changing its name to Topeka, in order to “honor that moving gesture”. 5. 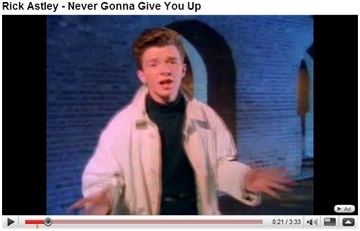 Rickrolled: In 2008, YouTube linked all featured videos on UK and Australian homepages to a video of Rick Astley’s song “Never Gonna Give You Up”, causing all users of the website who clicked on these videos to be “Rickrolled”. 4. 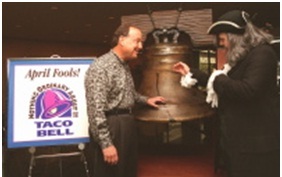 Taco Liberty Bell: In 1996, Taco Bell announced that it had agreed to purchase the Liberty Bell, in order to help reduce the country’s national debt. Thousands of shocked Americans called Taco Bell’s headquarters to complain. After the fact surfaced that this was all a hoax, Ford Motor Co. announced that it would be refurbishing the Lincoln Memorial, and that it would be changed to the Lincoln Mercury Memorial. 3. 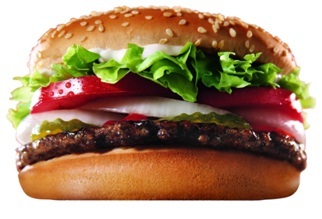 Left-Handed Burger: In 1998, Burger King announced in USA Today that it had come out with a new Whopper specifically designed for left-handed customers. The condiments on this new burger were designed to drip out of the right side, so that people eating them would not get their left hands dirty. Not only did customers start ordering these new Whoppers, but some even asked for the “old” right-handed burgers! 2. 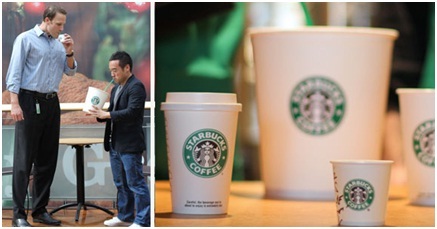 Starbucks’ New Sizes: In 2010, Starbucks announced that it was introducing two new cup sizes: the Plenta and the Micra. The Plenta was a 128-ounce beverage for caffeine addicts, and the Micra was only 2 ounces, for those who can’t handle too much of it. 1. 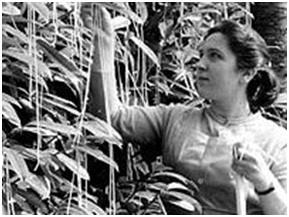 Spaghetti Trees: In 1957 BBC held a news story depicting a family in Southern Switzerland harvesting spaghetti from their very own spaghetti tree. Many viewers called the station, asking how to grow their own spaghetti trees, to which BBC replied, “Place a sprig of spaghetti in a tin of tomato sauce and hope for the best”. Got a hilarious April Fool’s prank of your own? Leave a comment below and tell us all about it (but please, keep it clean)!